Study the sky night or day! What does it take to make things ideal for astronomy viewing? Exactly the conditions you will find in Ohio’s Hocking Hills. That is why it is now the home of the John Glenn Astronomy Park. The Hocking Hills State Park is located forty miles from Columbus, easy to get to but far enough to have excellent visibility without light pollution getting in the way of star gazing. Clear night skies have drawn many astronomy enthusiasts and now the John Glenn Astronomy Park takes that to the next level. The Solar Plaza welcomes visitors to study the daytime features of the sky. The Sun, Earth, and the North Celestial Pole are just a few of the features on display before the night time show begins. The enclosed 540-square-foot observatory allows for viewing the night sky with its retractable roof. If you want to spark some excitement in nature and science this is a great destination. So many of us get a diluted view of the stars that it is easy to forget how magical and inspirational they are. This park offers visitors the experience of the near pristine night sky through a large telescope and with their bare eyes. 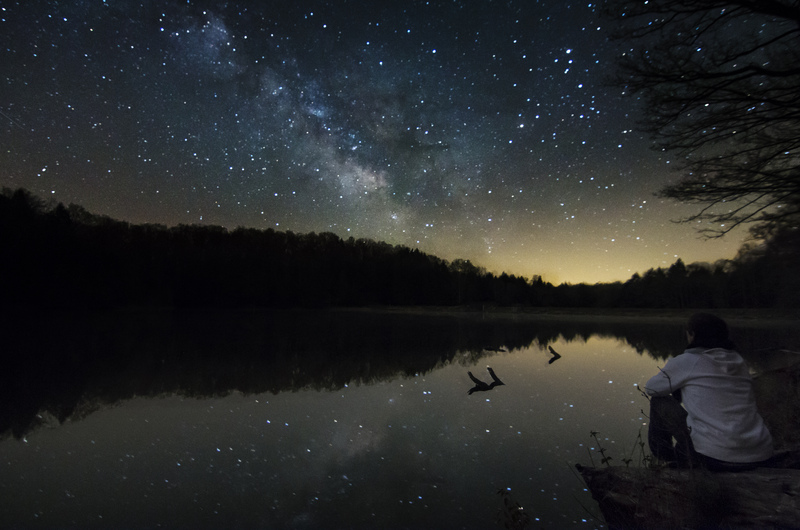 Night or day, you can head to the woods and enjoy the Hocking Hills State Park then visit the observatory at the John Glenn Astronomy Park to get a wider view of the natural world. Ohio?s Hocking Hills, known for its lack of light pollution and resulting clear night sky views, has always been a mecca for astronomy fanatics. Thus, members of the Friends of Hocking Hills State Park (FHHSP) has broken ground on for John Glenn Astronomy Park, which opens in early 2018. Named for one of America?s greatest heroes and an Ohio native, the park will be fully built and ready to open formally in June. In the park’s own words, “sadly, the lights of our modern world have, in recent decades, put our view of the heavens behind a veil of artificial light. Most of us live under a sky that gives only a pale, washed out hint of its former beauty. Find out more on the John Glen Astronomy Park website – jgap.info – or on Social Media – Facebook.